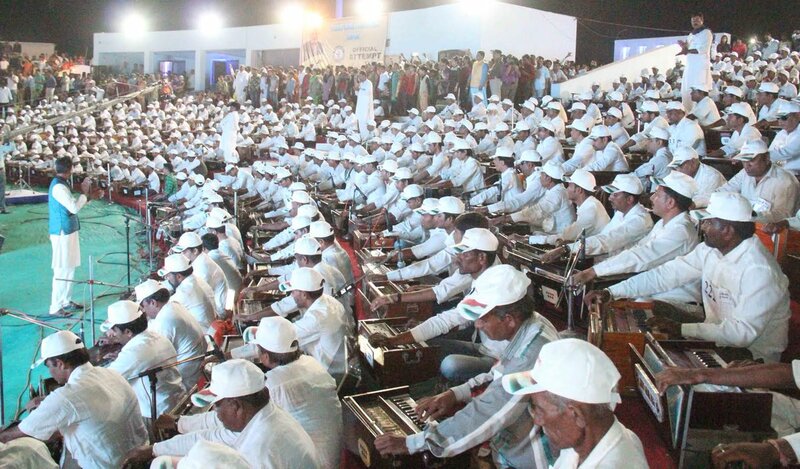 Vadnagar: As many as 640 harmonium artists here today played Indian national anthem together and made new Guinness record. 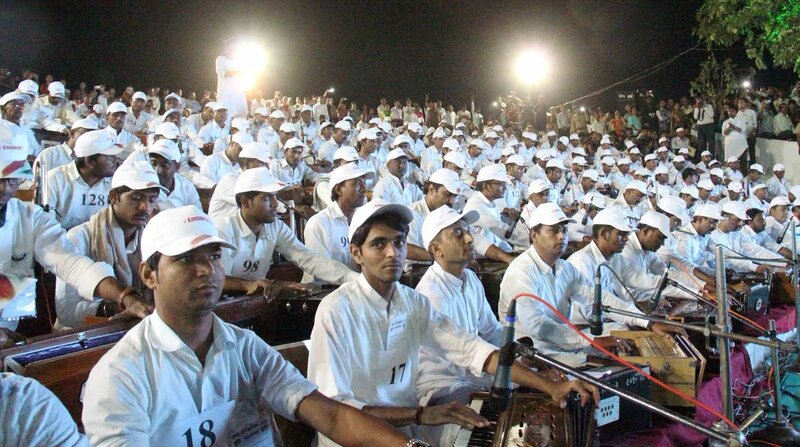 The earlier world record was made by 250 persons. Today it was broken by a group of 640 persons. 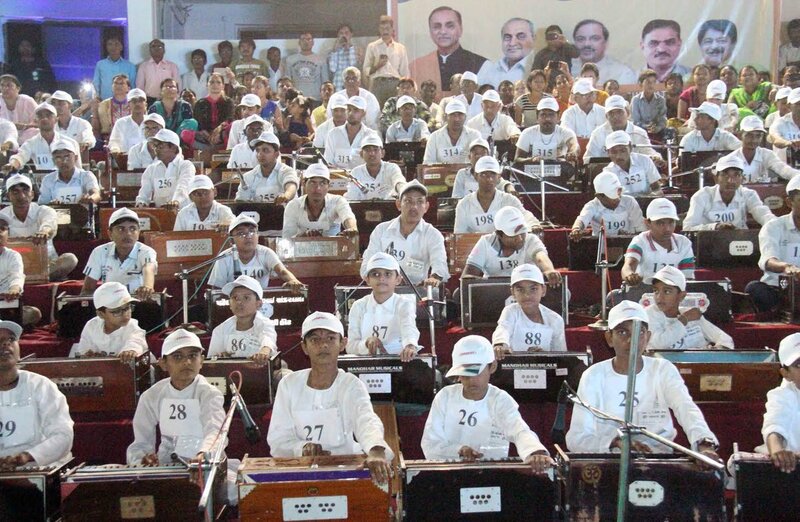 Gujarat Chief Minister Vijay Rupani and union Culture Minister Mahesh Sharma were present on this occasion. 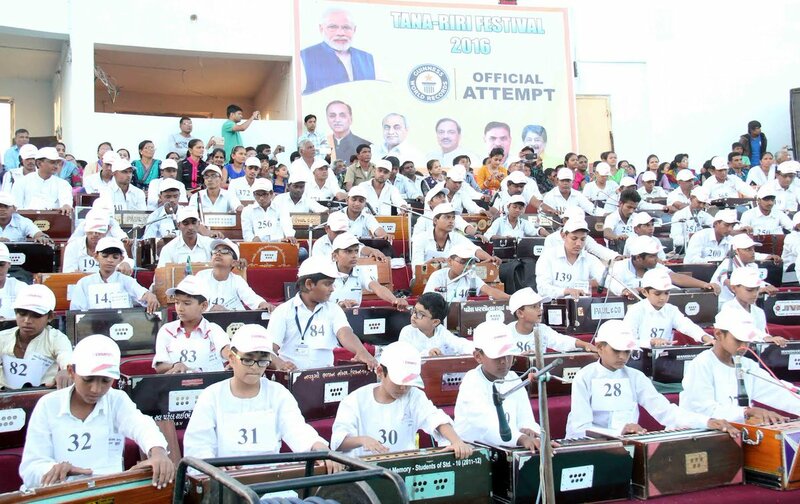 Vadnagar in North Gujarat is native town of Prime Minister Shri Narendra Modi. 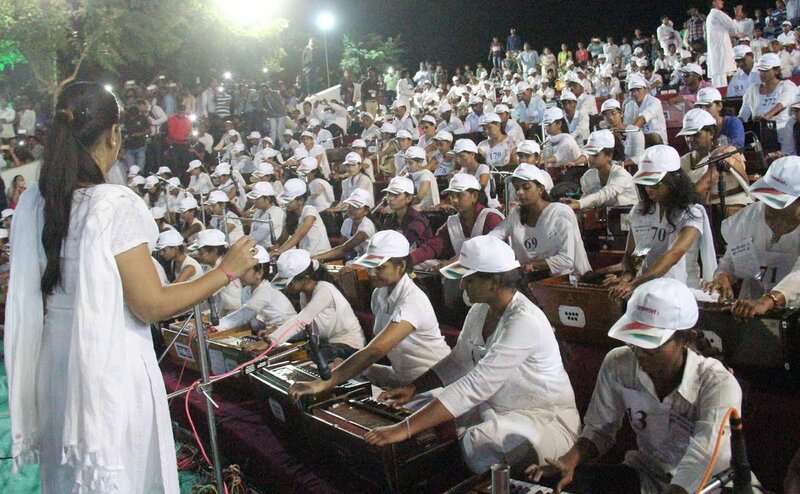 He had initiated annual Tana Riri classical music festival. 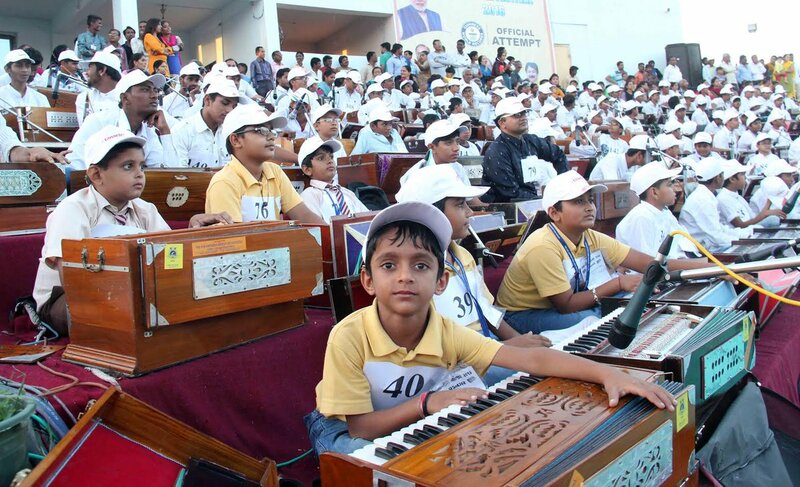 A representative from the Guinness Book of Records Shri Rushinath was present at Vadnagar when 640 Harmonium artists played national anthem together. 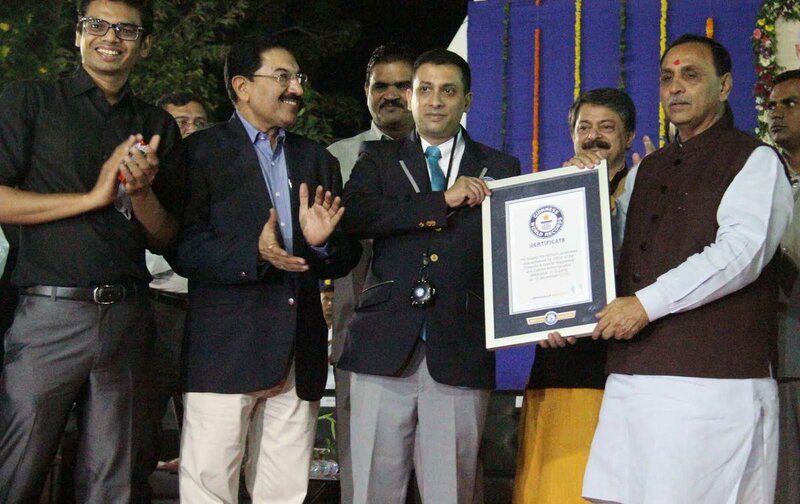 Rushinath made announcement on successful creation of new record. 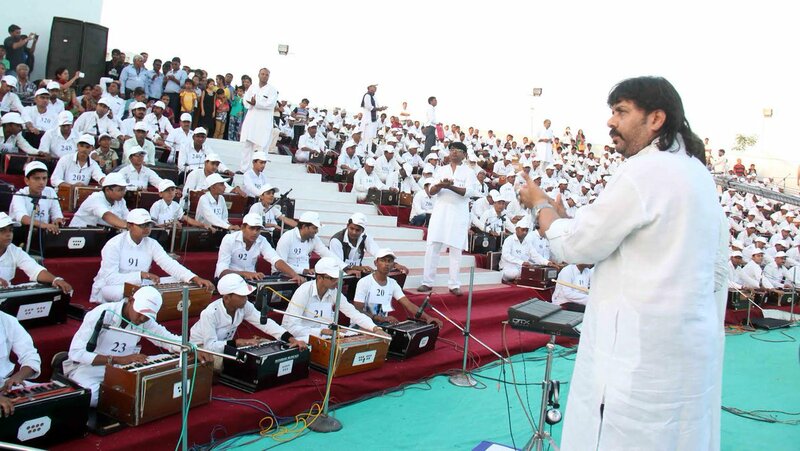 All artists were from Mahesana and surrounding areas. 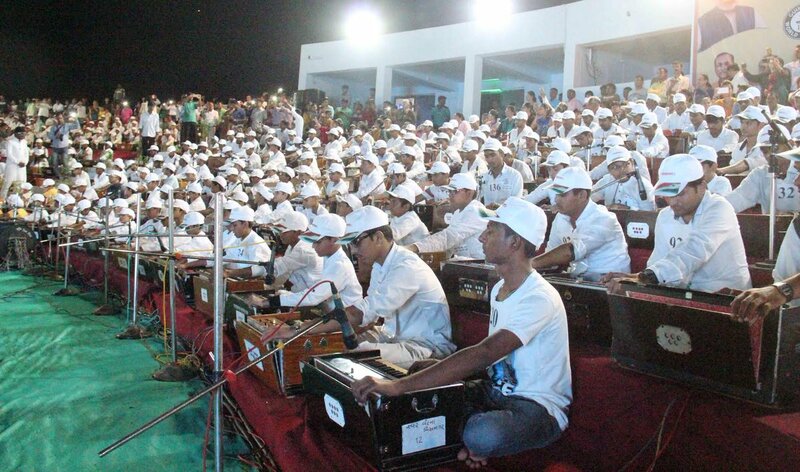 Some of them were Divyangs(differently abled). 15 participants were blind. 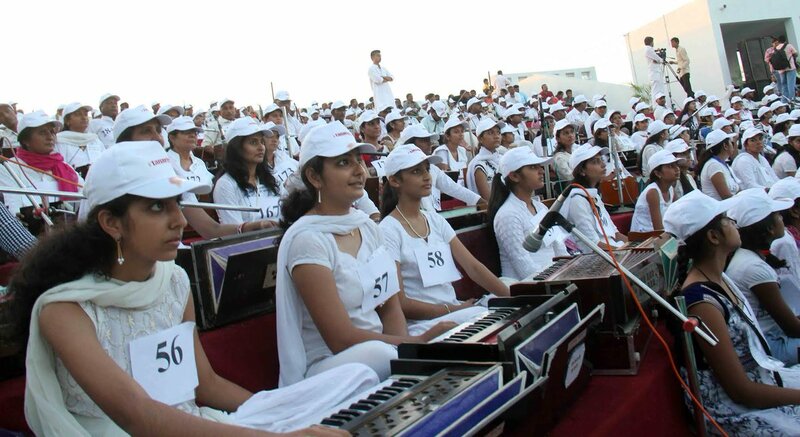 There were participants as old as 76 and 86-year.